Paresh Sanghavi has over 30 years of environmental engineering and consulting experience with particular emphasis on water and wastewater projects. His experience has included studies, design, project management, construction management, client development, business development, and office management. Mr. Sanghavi has played a significant role in developing, procuring and executing dozens of projects including wastewater treatment plants, wastewater pumping stations, water pumping stations, water treatment plants, water mains, sewer/force main/infrastructure, and combined sewer systems. Mr. Sanghavi received a Master of Science in civil/sanitary engineering from the University of Maryland at College Park and a Bachelor of Science in civil/sanitary engineering from M.S. University of Baroda, India. He is a board certified professional engineer in MD, DC, VA, PA and DE. 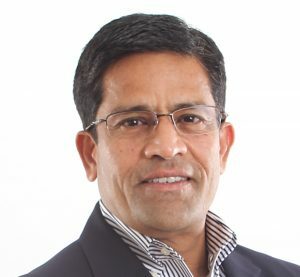 In addition to being a member of the Water Design-Build Council, Paresh is also a member of the Chesapeake Water Environment Association, Virginia Water Environment Association, Chesapeake American Water Works Association, American Water Works Association, and American Association of Environmental Engineers.